In no way do I intended to cut-and-paste the content of A Course in Miracles into my posts. 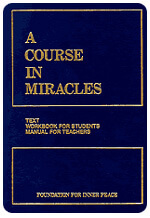 However, the list of 50 Principles of Miracles really is must-read material, so I will put 10 of the principles into a blog post for 5 weeks along with some other “must-have” materials related to A Course in Miracles (ACIM). This is week 3. 21. Miracles are natural signs of forgiveness. Through miracles you accept God’s forgiveness by extending it to others. 26. Miracles represent freedom from fear. Atoning” means “undoing.” The undoing of fear is an essential part of the Atonement value of miracles. My Faves from That List! I highlighted 21 because it tells us that when miracles occur, it is a sign that we are forgiven. A more in depth study of A Course in Miracles reveals a most controversial teaching for most of us: that Jesus did not die to save us from our sins because God cannot see our sins, only our perfection. Take comfort, then, that anything good, any miracle in your life is indeed assurance that God holds nothing against you and offers everything for you. You acknowledge and extend this by offering kindness, offering miracles to others. Whether you do this consciously or intentionally does not matter. You are the vessel – the faucet, not the water; the lamp, not the electricity. You WILL offer miracles to others. You ARE a miracle. I also highlighted 28 which states that miracles earn us release from fear. We “earn” this release by accepting and acknowledging the many miracles in our lives, which are occurring constantly, naturally, just waiting for our recognition. In this framework, the joyous receiving is just as important as the cheerful giving. It is the circulation of the energy/ the good/ the everything that communicates our faith in our enoughness, our faith that God provides all we need and then some. If you knew this to your core, what would you have to fear? What I Discovered This Week! One of the things that I love about ACIM is that it does not purport to be the ONLY spiritual path. In fact, I am amazed at how its messages are echoed in EVERY spiritual path I have encountered. From an early age I had a deep sense that God could reach anyone in an infinite number of ways. In other words, it never made sense to me that God would require something as limited and rigid as a church or a religion to do his thing. This week, a woman I admire very much made reference to her spiritual explorations and I mustered up the nerve to ask her about it. She said a name I had not heard before: Florence Scovel Shinn. I found her books on YouTube and have listened to The Game of Life and How to Play It and The Secret Door to Success. Other books include Your Word is Your Wand, The Power of the Spoken Word, and The Magic Path of Intuition. I do not know how I have not heard of her before! The Magic Path of Intuition was published posthumously and is sold separately from collection of her 4 classics. Much like A Course in Miracles, she clarifies Jesus’ teachings and interprets the Bible in line with New Thought. While I do not know if she was directly connected, she lived at the same time as Mary Baker Edy (Christian Science) and the founders of Unity, Charles and Myrtle Fillmore. She strongly emphasizes that Infinite Spirit is ready and willing to provide us with what is ours by our Divine Right, but that the pursuit of fearless faith, nonresistance and love is required. 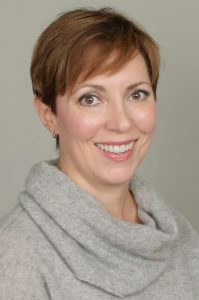 She teaches that careful use of the Word in the form of affirmations, “imaging” and “visioning” (both used much like visualizing is used in Law of Attraction circles) can correct (or “impress”) the thinking of the “reasoning, subconscious mind” and remind us how to trust the superconscious or Christ-mind within us.